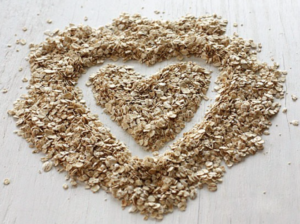 Why Should I Care About Fiber (or healthful eating) Now? Although a majority of chronic diseases, such as heart disease, diabetes, and high blood pressure, are usually diagnosed later in life, the development of these diseases is strongly related to nutrition and lifestyle practices decades before. So, don’t wait until you already have a health issue to start implementing a healthful diet and lifestyle. Start now! Fiber is one of the many nutrients that contributes to good health and may prevent many digestive and long-term chronic diseases. Consuming enough fiber may be easier than you think. Some good sources of fiber are whole grains, beans, whole fruits (with the skin! ), veggies, nuts, and seeds. For example, you can meet your daily fiber needs with 2 cups of fruits and 2.5 cups of veggies and adding in a 1 or 2 sources of whole grains source or beans each day. At first, adding fiber-containing foods may be tough and feel impossible. A good trick is to start slow by adding 1 or 2 of these foods in your day at a time. After eating these new foods become a regular habit, you can repeat this step until eating your daily recommended amount! Okay, What is My Daily Recommended Amount? Ready to get started but don’t unsure how? Switch from a low-fiber breakfast cereal to one that has at least 4 grams of fiber per serving. Check the ingredient label! Choose an apple or pear, with the skin left on (most of the fiber is in the skin!! Eat legumes everyday if possible! Beans, peas, and lentils are excellent source of fiber, vitamins, and minerals! You can add them as a side dish, in soups, chili, tacos, scrambled eggs, rice and much much more! The possibilities are endless!! Eat a veggie with every meal! I mentioned above that one good source of fiber is whole grains. Whole grains include whole-wheat flour, bulgur (cracked wheat), oatmeal, whole cornmeal, and brown rice. Refined grains have been milled, a process that removes the bran and germ. This gives grains a finer texture and improves the shelf life, but it also removes dietary fiber, iron, and many B vitamins (choose my plate). Refined grains include white flours, sugar, soda, chips, and processed cereals. Most Americans do not consistently choose whole grains over refined grains products. Shopping for whole grain products can actually be pretty tricky. These days, there are so many varieties of rice, breads, cereals, and other grains products to choose from and some have more nutrients and fiber than others. In order to get the most nutrient and fiber from your bread, try choosing 100% whole-wheat varieties! Not multigrain, not white bread, or whatever else is on the shelves these days. The trick when selecting bread is checking the ingredients list and looking for the word “whole” before the word wheat or grain. When adding more fiber into your diet, it is important to increase your fluid intake as well. Fiber binds to water and helps soften stools. Not drinking enough water with a higher-fiber diet may cause constipation. Yikes… Nobody wants that. It’s also important to mention that eating large amounts of fiber doesn’t always mean better! Excessive fiber can cause gas, bloating, and constipation, or even dehydration. Additionally, fiber binds certain vitamin, minerals, and other nutrients in the gut; therefore, too much fiber can cause issues due to reduced absorption of these nutrients. 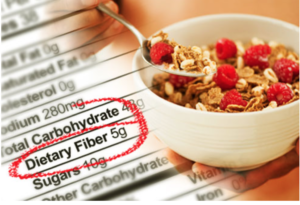 As of now, there is not a specific amount that is considered “too high” for everybody, however, most Americans find it hard to tolerate more than 50 grams of fiber each day. What is too much fiber for one person may not be too much fiber for another person. Start by trying to increase your intake to the recommended amount listed above. If you are able to tolerate this amount and plan to increase, do it slowly! Still Feeling Overwhelmed or Unsure How To Start? If you are currently thinking of incorporating more fiber into your diet or adopting a more healthful diet and want more help seek out a Registered Dietitian. They will be able to provide you with a variety of resources and plans that are more individualized to you. Thompson, Janice, and Melinda Manore. The Science of Nutrition. 3rd ed. San Francisco: Pearson Benjamin Cummings, 2008. 473-479. Print.